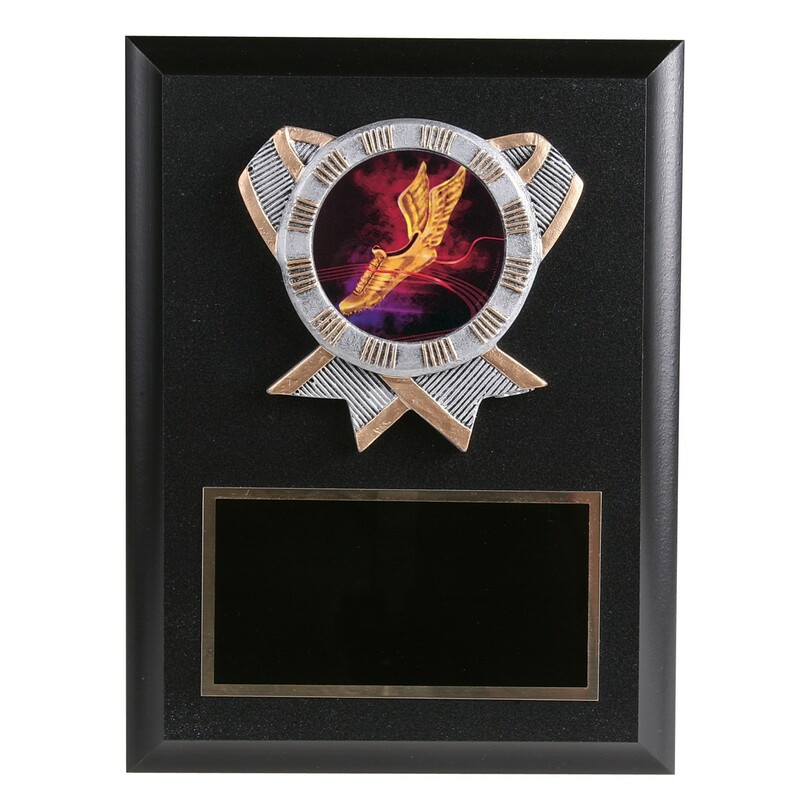 Award your top track and field athlete our Winged Shoe Track Resin Plaque. This 8"x6" black plaque features a pewter colored resin relief holding a 2" holographic image of a winged track shoe. 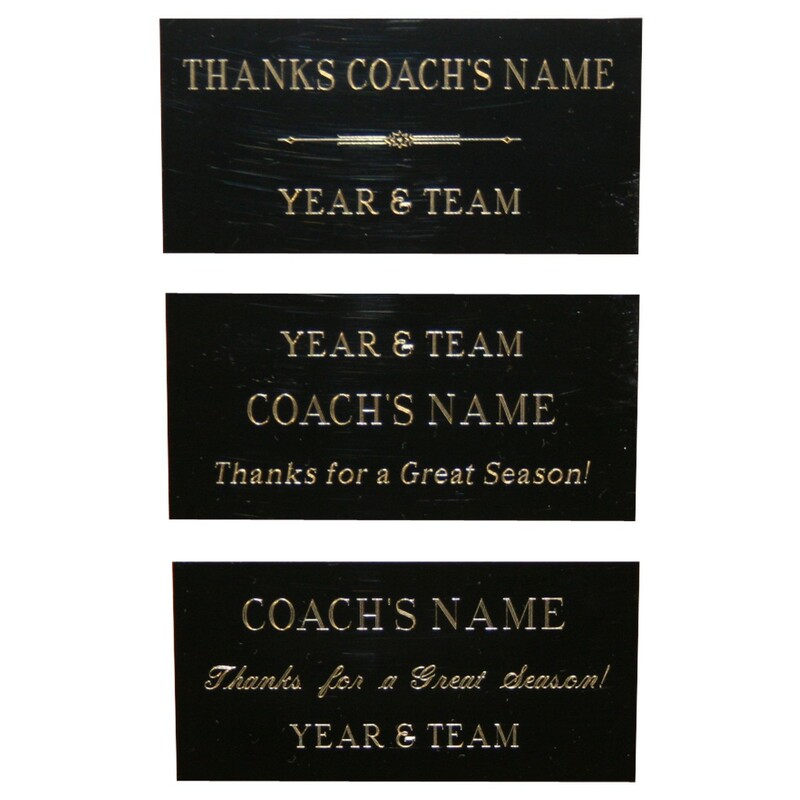 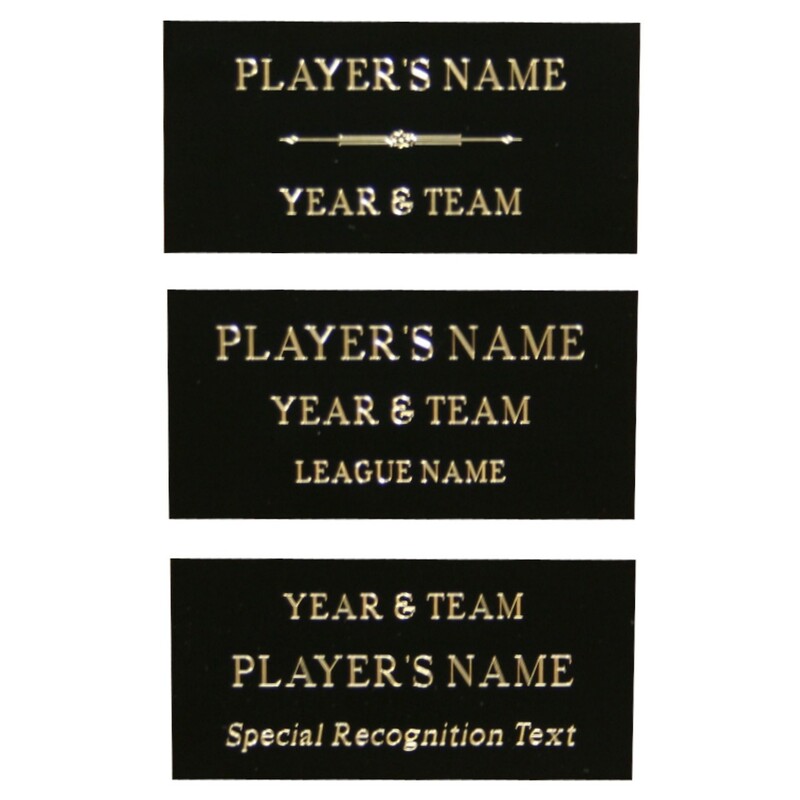 Below is a black brass engraved plate with golden letters.